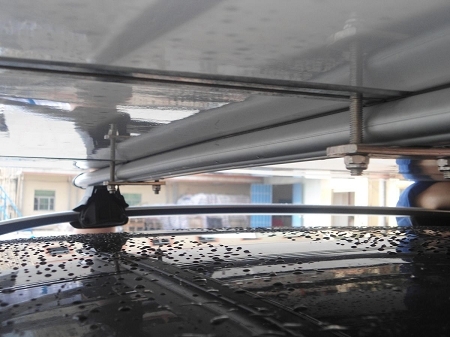 Roof Top Tent Free Shipping NO SALES TAX! 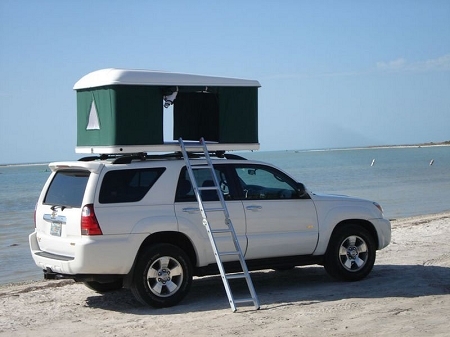 This rooftop tent is not like other roof tents you may have used or even seen in the past. 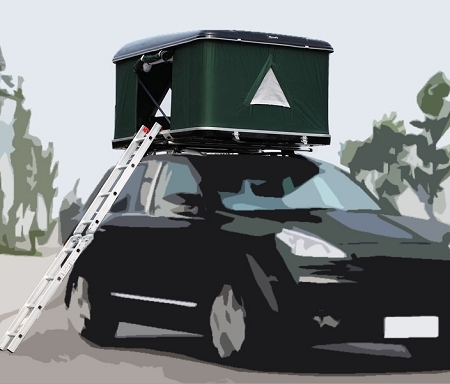 This updated car & truck roof tp tent is made to fit on almost any common car or truck roof rack system like Thule or Yakima. 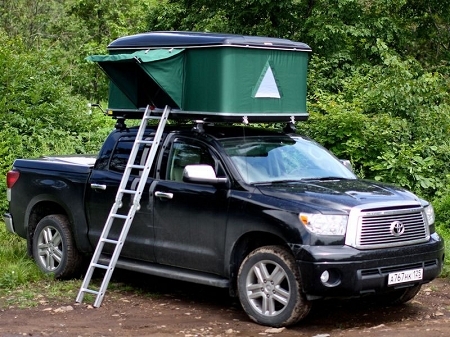 Unlike some roof top tents this unit is constructed to withstand almost 600 lbs. It's very difficult to get these and keep them in stock to the winning bidders enjoy the freedom that this amazing product offers. Mattress: poplin 50% cotton, high density, 7cm thickness high quality cushion. Mini Light inside, With alum ladder. The Tent is good in rain.